“It is easy to examine the lives of others without carefully examining our own. 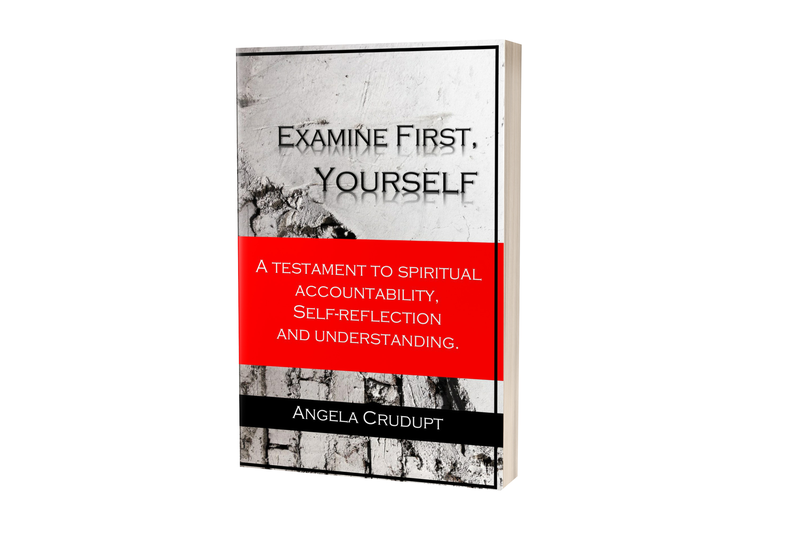 In Examine First, Yourself, Angela Crudupt seeks to challenge and motivate the readers through thought-provoking text that inspires spiritual accountability as well as maturity in Jesus Christ. Powerfully insightful and exhortative on Christian virtue and discipline. Crudupt, fearlessly direct, uses her gift as a minister to expose, challenge and motivate the body of Christ through thought-provoking commentary that inspires spiritual accountability, conviction, submission, and transformation. Crudupt exhorts those who are yearning and seeking a greater spiritual alignment to passionately pursue and ﬁrmly protect their relationship with Jesus Christ.